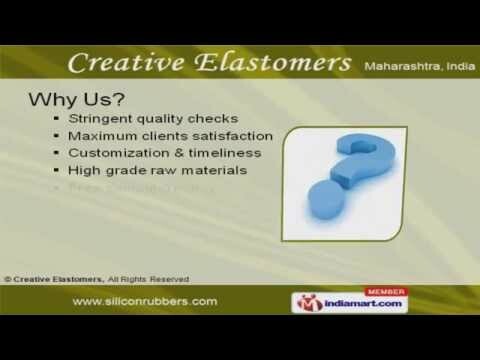 Welcome to Creative Elastomers Manufacturer & Exporter of Rubber Moulded & Extruded Products. The company was established in the year 2001, at Mumbai. We have spread our wings to Africa, USA & Europe and we cater to Automobile, Textile, Defence & other industries. Free sampling policy, Stringent quality checks & Expert workforce make us the first choice of our clients. We offer a wide array of Pneumatic Seals, Hose Pipes & Coated Fabrics. Silicon & Extruded Rubber Products offered by us are widely acclaimed in the market. We offer Hydraulic, Moulded, Dowty & Pneumatic Seals that are available at industry leading prices. We also provide Hose Pipes & Coated Fabrics that are best in the industry amongst others. Our Rubber Sheet, Bellows, Gaskets & Rings are extremely reliable. Along with that we offer Safety, Moulding & Extruding Products that are cost effective.